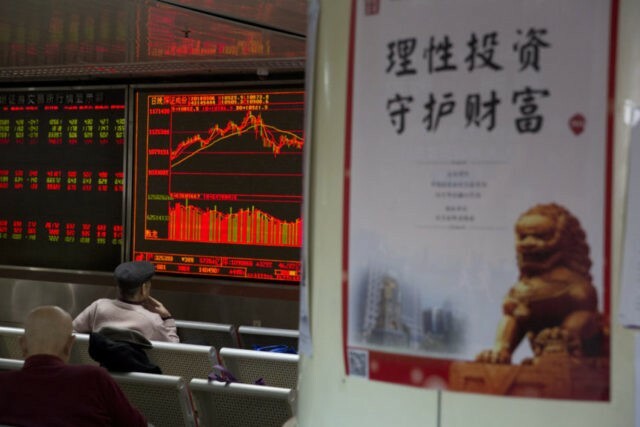 BEIJING (AP) — Global stock markets rose Tuesday as investors hoped that U.S. President Donald Trump’s proposal to slap tariffs on steel and aluminum imports could yet be averted or amended. KEEPING SCORE: Germany’s DAX rose 0.8 percent to 12,181 and London’s FTSE 100 gained 0.8 percent to 7,170. France’s CAC 40 added 0.6 percent to 5,199. On Wall Street, futures for the Dow Jones industrial average and Standard & Poor’s 500 index rose 0.5 percent and 0.4 percent respectively. ENERGY: Benchmark U.S. crude rose 51 cents to $63.08 per barrel in electronic trading on the New York Mercantile Exchange. The contract jumped $1.32 on Monday. Brent crude, used to price international oils, gained $1.61 to $65.98 in London. It advanced $1.17 on Monday. CURRENCY: The dollar rose to 106.37 yen from Monday’s 106.19 yen. The euro edged up to $1.2409 from $1.2337.